Installing a reliable Intel Pentium processor is the best way one can improve the speed of a server, desktop or a laptop computer. Intel Pentium processors are different from Intel Core processors because they are built on a single die and used for mobile environments. This means mobile hardware that doesn't require speedy processing can make use of Intel Pentium mobile processors in the best way possible. Why Should You Buy Intel Pentium Mobile Processors for Your Business? If you are still using Intel Celeron Mobile Processors, then it is the right time to make a shift. 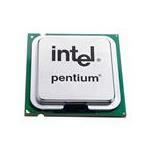 Intel Mobile Pentium processors include Pentium D processor, Pentium M processors and Pentium MMX processors. These are further divided into M755, M780, B950, P6100 and others. The Intel Pentium processors are faster than Celeron processors based on their clock speed and bus flow processing power. Therefore, as long as the motherboard is compatible, Intel Pentium Mobile processors are a fair choice. These processors can be fitted to Socket 478 and 479 systems easily. 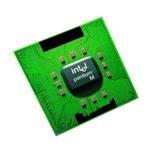 How best Intel Mobile Pentium processor can increase your productivity? The Intel Mobile processors include Pentium, Core 2 Extreme, Core i3 series, Celeron, Pentium M, Pentium MMX and others. 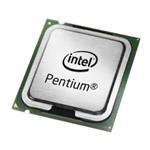 The Pentium Mobile Processors are some of the fastest ones available at an affordable price. Intel Celeron Processors, on the other hand, may cost the same but have substantially low speed and hence don't make a great deal. Should You Shift to Intel Pentium Mobile Processor from Celeron? If you are going to run heavy applications such as business intelligence software or development software, you may need a low-cost but fast processor such as the Intel Pentium Mobile processor. Just look through our website to get the best fit. At Memory4Less.com, we have some of the best prices in the market for Intel mobile Pentium processors, Celeron, atom, Core 2 Extreme and others. Get started right away!